Think of our team as an extension of your office. Contact us by email, live chat, or phone to get your questions answered by a real person, in our office, every time. No call centers. No phone trees. No runaround. Send us your questions or feedback by email. Access resources in our Support Center. 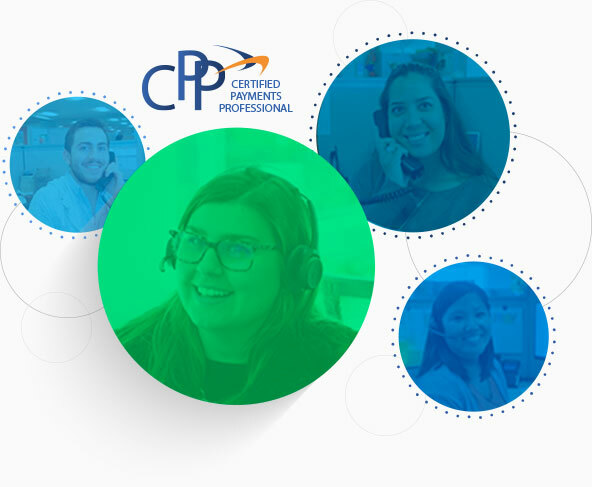 We're proud to have a team of experienced Certified Payments Professionals (CPPs) here in our headquarters in Austin, TX, ready to assist you. The Electronic Transactions Association CPP program is a symbol of excellence and expertise in the payments industry. This certification demonstrates that an individual has exceptional knowledge and understanding related to today's complex electronic payments environment. Interested in using AffiniPay for your association’s processing or building AffiniPay’s patented payment technology into your Association Management System or other software application? Contact us to learn more about partnership opportunities.